Welcome to Garbacik Surveyors Inc.
We at Garbacik Surveyors are committed to delivering a high quality service and product, along with personal attention to our clients and their individual needs. We survey all areas in the state of Maine. 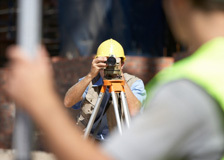 We offer all-inclusive professional Land Surveying services. Bob is also an experienced Land Conservation and Development Consultant. We are members of Maine Society of Land Surveyors, the American Congress on Surveying & Mapping, Mid-Maine Chamber of Commerce, the Kennebec Valley Chamber of Commerce, and Kennebec Proprieters. I have been using Garbacik Surveyors for over 20 years. Projects include major and minor subdivisions and single house lot work. The area towns that Bob has done work for me are in Fairfield, Waterville, Winslow, Oakland, Belgrade and Norridgewock. In all cases Bob's expertise, knowledge and experience has successfully gotten me through local planning boards. I highly recommend Bob Garbacik for any size survey project. Call me personally for a reference. 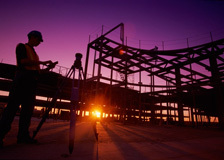 “We have hired Garbacik Surveyors to do our survey work for over twenty five years. They have provided excellent service, produced a high quality product, and completes the project on time. Copyright © 2019 Garbacik Surveyors • Website design and hosting provided by PHD Consulting, a Maine company.